A new Toy Story 4 international poster has been revealed! 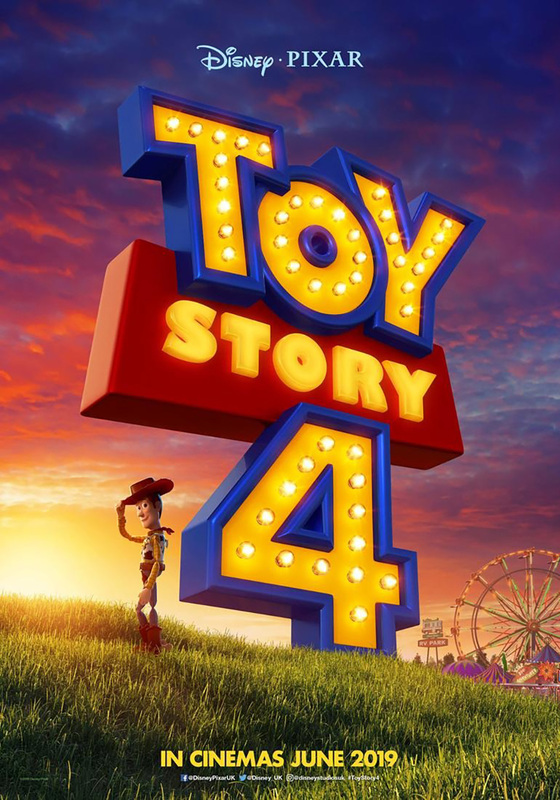 The new poster features Woody standing a similar pose to a previous teaser poster, seemingly tipping his hat and walking off into what looks like a sunset (and a very beautiful sunset at that). This stance suggests that Woody is saying a farewell of sorts, and if the little teasing comments from Tim Allen and Tom Hanks (voices of Buzz and Woody) are anything to go by, it seems like there’s a reasonable likelihood that this is exactly what the end of Toy Story 4 is going to involve. 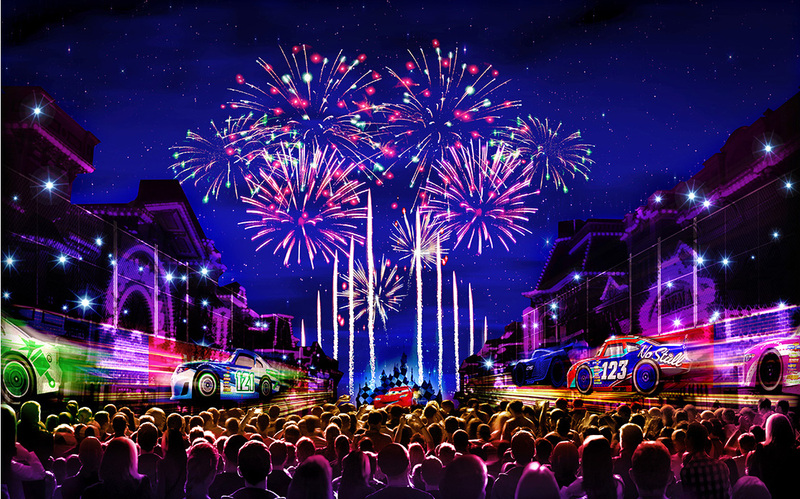 But remember – Pixar really do like to throw their curveballs! The only thing that can be guaranteed is that it will definitely surprise us. Also worth noting is the carnival in the background. We’ve already seen a teaser trailer featuring Ducky and Bunny, two characterful fluffy toys that may or may not be carnival game prizes. 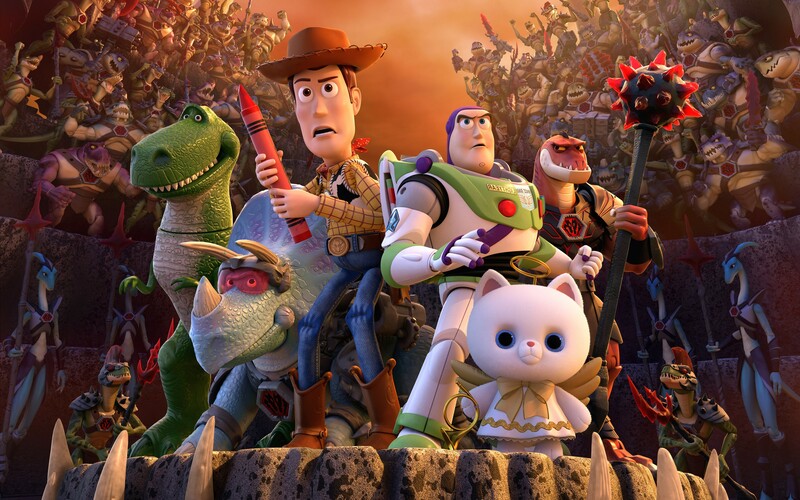 Pixar have described Toy Story 4 as “a road trip adventure alongside old and new friends” – it looks like the carnival is going to be a significant stop on the toys’ journey. At this point, we can still only speculate! But with Toy Story 4 coming out in just over 6 short months, we’re sure more details will be revealed in due course. 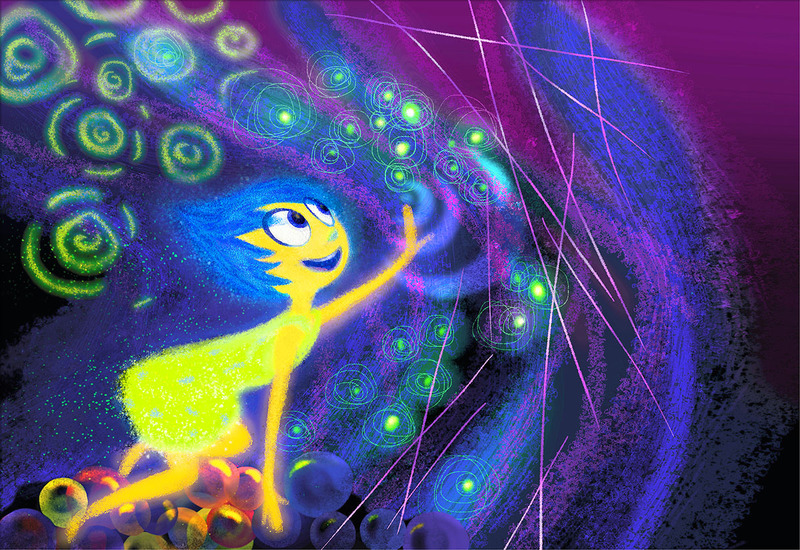 Our Favorite Pixar Movies Are Taking Flight! You may remember that last year, in the run-up to the release of Coco, Pixar teamed up with Southwest Airlines and unveiled a Coco themed airplane, and it seems like this is becoming somewhat of a trend. To celebrate the opening of Toy Story Land in Shanghai, China Eastern Airlines worked with the Shanghai Disney Resort to create an entirely Toy Story themed plane. The outside is boldly painted with a giant Buzz Lightyear. Let’s hope his flying is flying rather than “falling with style” this time! It took its first flight at the end of April. 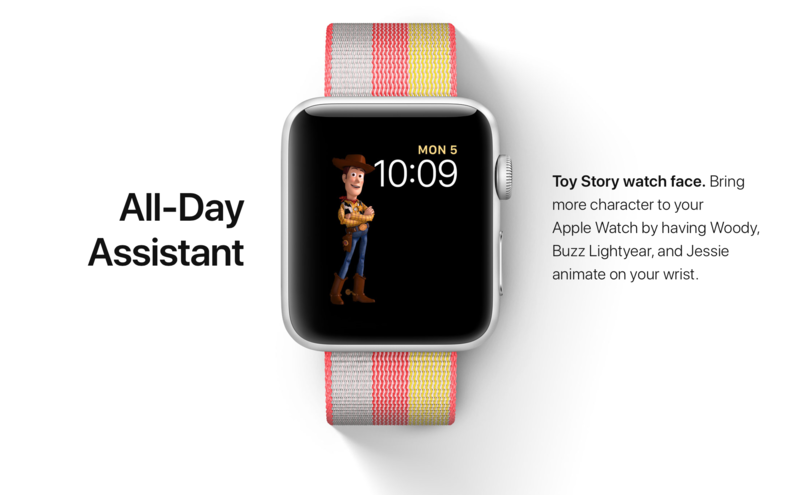 And it’s not just the outside that’s been adorned with Toy Story characters and references – the inside really goes the extra mile. The ceiling is decorated with those familiar Toy Story clouds, and all the seats have one of the many popular characters on them, including Woody, Jessie, Rex, Trixie, and even Lotso (Lotso is a big thing in China – who knew?). Passengers are even served Toy Story themed refreshments, offered Toy Story themed headphones, and given commemorative Toy Story boarding passes to take away as a souvenir. 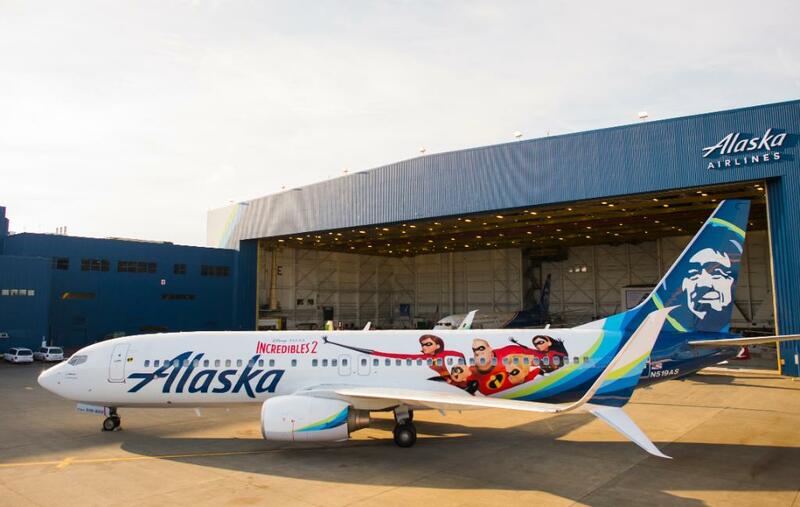 But Toy Story isn’t the only Pixar movie franchise that has been upgraded to first class – today, Pixar revealed the all new Incredibles 2 Alaska Air plane! To celebrate Alaska Airlines Aviation Day, the plane was unveiled today in Seattle and it couldn’t look more super. If you look closely, you’ll see a very concerned raccoon on the tail of the plane, almost as if it’s holding on for dear life. This raccoon has been hinted as being Jack Jack’s arch nemesis in the eagerly awaited Incredibles sequel. It’s amazing, and oddly inspiring, to think that these planes are making flights in our skies at the moment – the sky’s the limit! Or is it? Here’s some news that’s a bit more cosmic in ambition: NASA have named two of their satellites after WALL-E and EVE, the lovebird robots from 2008’s WALL-E. They’re to be launched into space this weekend, on course for Mars! The satellites are maybe a bit of a one-off thing, but it seems likely that Pixar themed airplanes will be something we’ll see again in the future! Let us know if you’re ever lucky enough to book a flight on one of them. Don Rickles, the famous and lovable “insult comic” has died at age 90. Although his career began in the 1950s, with supporting roles in films, he is primarily beloved by Pixar fans as Mr. Potato Head in the Toy Story films. Rickles died of kidney failure, as reported by the LA Times. Lee Unkrich shared his memories of Rickles, and noted with fondness the insults he received while they worked together. 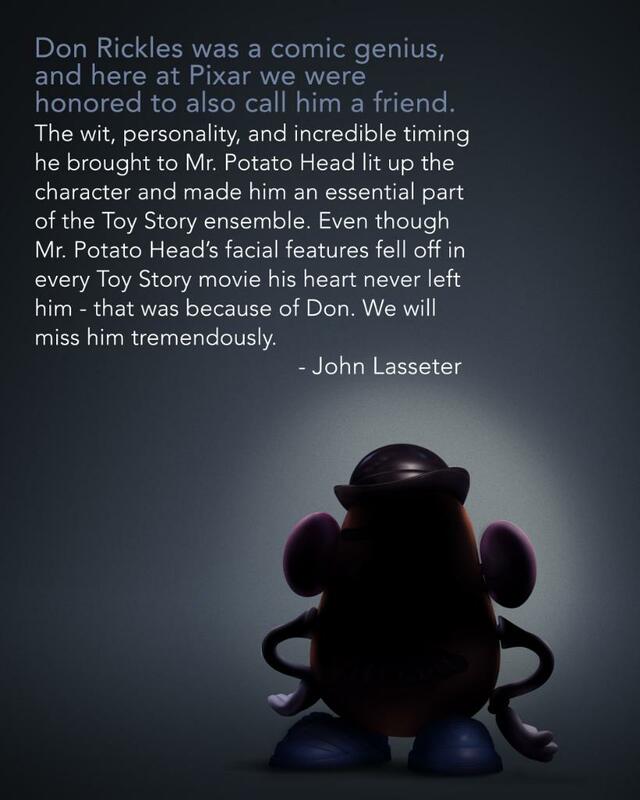 A moving tribute by John Lasseter was also shared by Pixar earlier today. Don Rickles truly was a member of the Pixar family. Just try to imagine the Toy Story films without the singular presence, wit, and directness of Mr. Potato Head. His impact on other comedians and actors can’t possibly be overstated. He will be dearly missed. We want to extend our deepest condolences to his family and friends during this time. But what about business? In his new book, To Pixar and Beyond: My Unlikely Journey with Steve Jobs to Make Entertainment History, Lawrence Levy sheds a light on the business side of Pixar and how the studio emerged as a renowned name while he served as its Chief Financial Officer. With rich clarity and detail, Levy recounts Pixar’s humble beginnings and astronomical success, his relationship with Steve Jobs, and the practical lessons other leaders can implement to make their own companies flourish. Pixar was never an overnight success. In fact, when Levy was recruited by Steve Jobs in 1994, success was a mere word, not a tangible outcome. For 16 years the company floundered, after Jobs’ original plans for the Pixar Computer failed. Levy was understandably reluctant to join this small company with both a complicated past and a murky future. Originally located in Point Richmond, California, even its office was dreary and unimpressive. There was nothing to suggest that this was a studio worth investing in. And then Levy watched the first clip of Toy Story and the rest was history. Well, not quite. Toy Story‘s impact on Levy was profound. He realized that Pixar was going to change animation. 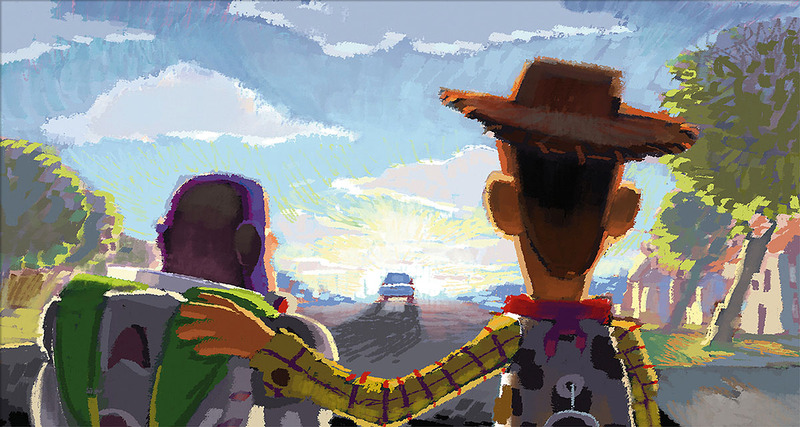 “Pixar was embarked on a lonely, courageous quest through terrain into which neither it nor anyone else had ever ventured.” While he was moved by the passion of John Lasseter and had confidence in Lasseter’s vision, as well as Ed Catmull’s, he also expressed reservations about joining them. Pixar represented too great of a business risk. There was awe inspiring vision, but nothing to ground it. When Levy did eventually sign on, he remained wary, but he also remained awed over Toy Story‘s emotional power. The highest priority for Steve Jobs was taking the company public. This was nearly impossible since the studio’s lack of success wouldn’t attract investors. Finding investors was a grueling process. But when Pixar did secure backers, it was on the strength of its vision for computer animation. Taking such a risk proved enormously rewarding: Toy Story was the biggest film of 1995 upon its release, grossing $192 million. Pixar’s market value totaled $1.5 billion. The studio was no longer a failed Steve Jobs endeavor, but a new and striking force within the animation industry. Even as Pixar’s success rate continued its ascent, neither Levy nor the creative team grew too comfortable. He wisely notes that success changes an individual. The goal was always to take risks with the films, and they were allowed to do just that, without executive meddling. Such was Levy and Jobs’ commitment to preserving Pixar’s creative spirit along with its financial security. Even if the world of finances, business and stocks is alien to the reader, To Pixar and Beyond is a thoroughly engaging and fascinating read. This is attributed to Lawrence Levy’s personable and warm tone. A deep sense of humility characterizes his reflections. This book is an excellent resource for anyone who wishes to learn more about Pixar’s history and the overlooked people responsible for its breakthrough success. Levy also makes a case for how necessary practicality is to a company like Pixar. Just as technology can be wedded to art, so too can business. We are also giving away a copy of the book to three lucky readers! 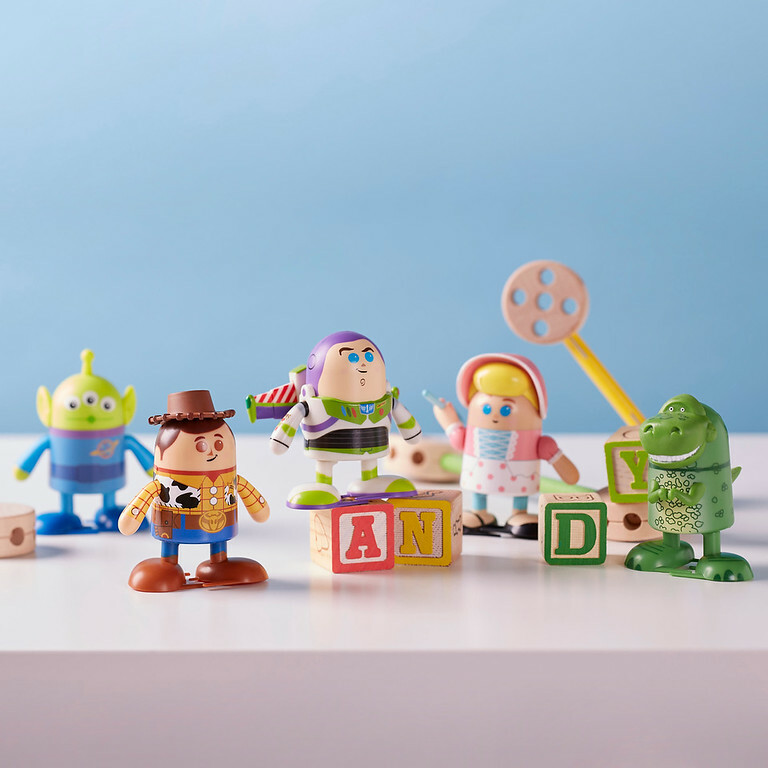 To enter, simply comment on this post and tell us who your favorite Toy Story character is. We will announce the winners on November 22nd, which is also the film’s 21st anniversary! To learn more about the book and author, please visit lawrencelevy.com.